Add e-mail account in the IOS6 phone. It is very important to fill in all the necessary fields. Even some that appear as "Optional" should be filled in. 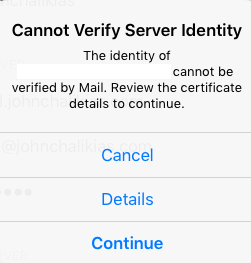 In the window that appears under the title "Cannot Verify Server Identity" click on Continue. This message is purely informative and there is no need for concern. How can I view my site before the DNS service is activated ? How to set up your email account in Mozilla Thunderbird? How can I view my domain before the DNS Service is activated? How can I get the free domain name that my Shared Hosting plan offers? 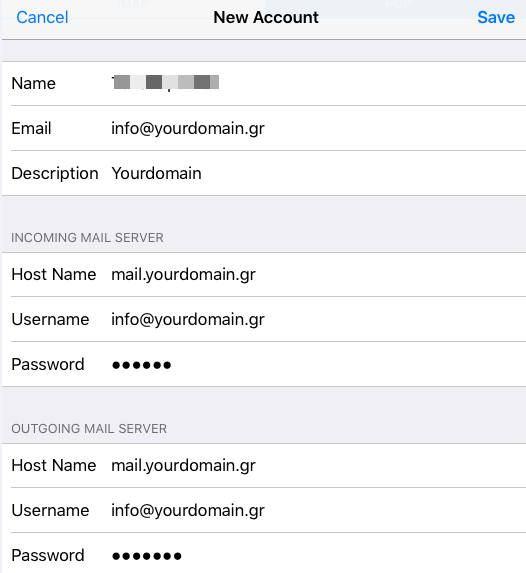 How can I change the password of my email account through Plesk?